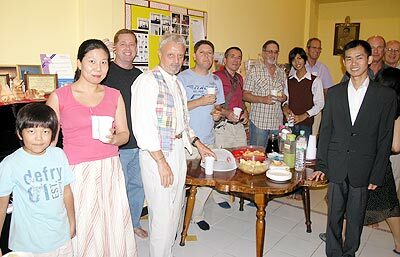 Local artist Thanakorn Chaijinda (2nd right) opens his new Art Gallery at The Ring on Nimmanhaemindha Soi 17 called ‘House of Coloured Water’. Supattra Suttilagsana from the US Consulate Generals Office, Han Yzenoorn and Hana Gaiser offer their congratulations. The ‘Absolute Boys’ (and girls) know how to party. 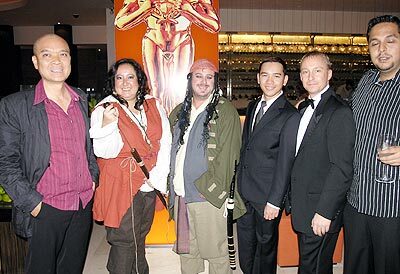 A pair of James Bonds and two Pirates of the Caribbean join the management team at the dusitD2 Hotel for an Oscars Party. 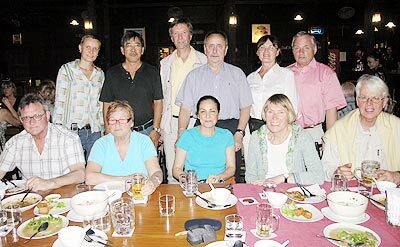 The Chiang Mai Friends Group meet at the La Gondola. 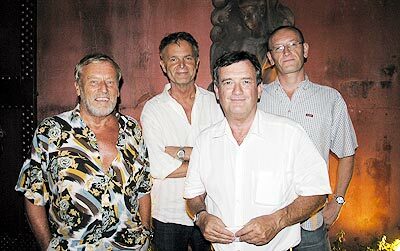 Quadrants team won the February Quiz at the Garden Bar. 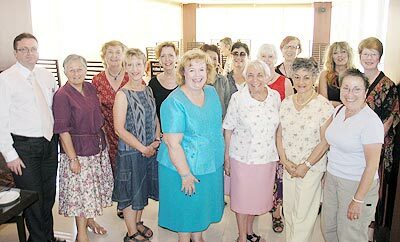 Christian Roeschli (left) from the Kantary Hotel welcomes the Expat Ladies Lunch group. 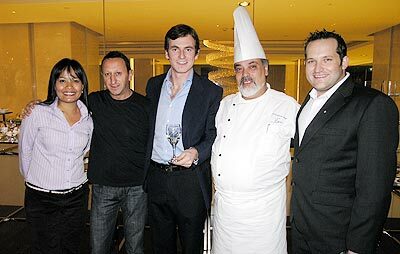 Chef Gustavo (2nd right) is joined by Joon from Horeca, Giorgio, Jacopo Pandolfini and Golden at the Antinori wine tasting event at Favola Restaurant. with all-night free-flowing punch for the guests. 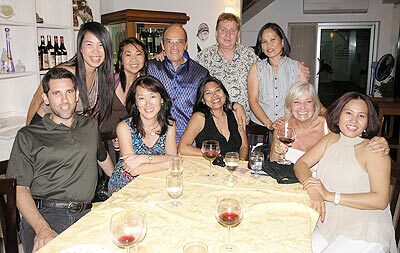 Members of the organising committee of the ‘Small Wonders’ concert and their friends celebrate the show’s success at Antonio Restaurant. 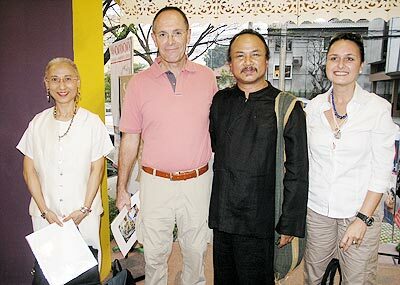 Full details of the concert in next week’s Chiang Mai Mail. 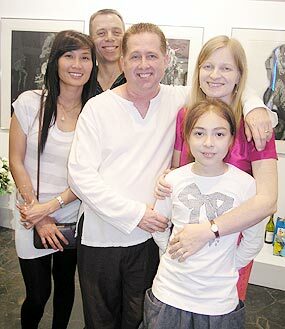 Birthday celebrations at ‘Look at This’ Gallery on Nimmanhaemindha Road. by TangerineBlue at the Santi Music School. 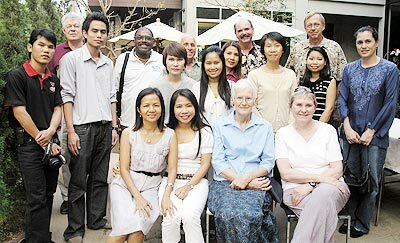 Mayor of Chiang Mai, Dr. Duentemduang na Chieng Mai (seated) poses for a photo with the Songkran 2009 organising committee.